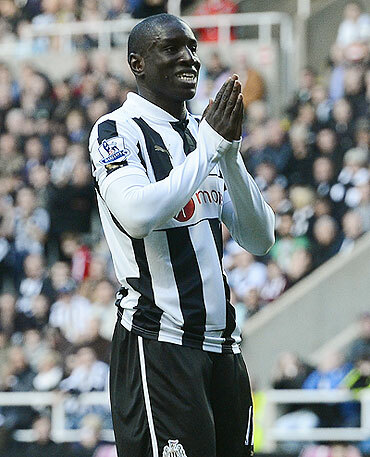 European champions Chelsea have been given the blessing of Newcastle United manager Alan Pardew to sign Senegal striker Demba Ba after his release clause was triggered on Wednesday. Chelsea are desperate for backup in attack for inconsistent Spain international Fernando Torres, who is the London team's most used outfield player this season. "It's done, he will go to Chelsea with our blessing. He has done fantastically for us, it's a big club, good luck to him," Pardew told Sky Sports News ahead of Newcastle's clash with Everton on Wednesday. "For us, it's not a bad thing because of all the uncertainty of whether he was going to stay is now done. We can move on, we're a massive club here. This club is bigger than any player for sure. In some respects, I'm pleased." Newcastle earlier confirmed Chelsea's interest in Ba which "triggered the release clause in the player's contract," read a statement on their website (www.nufc.co.uk). Newcastle, labouring in the bottom half of the table after finishing fifth last term, did not give details of the release clause but media reports suggest it is around seven million pounds. Chelsea made no official statement with Ba expected to undergo a medical and agree personal terms. The 27-year-old failed a medical at Stoke City in 2011. Ba has been a mainstay in attack for the north-east club since joining from West Ham United on a free transfer in June 2011. "We prepared yesterday with Demba in the side. I was assuming that. I was in the dark as I have been on most of this particular deal because obviously the ball was in Demba's court," added Pardew. The striker, who previously had spells with Rouen, Mouscron and Hoffenheim, needed eight games to score his first Newcastle goal but he ended his drought in style with a hat-trick in a 3-1 victory over Blackburn Rovers. Ba finished the 2011-12 campaign as the club's top league scorer with 16 goals including another hat-trick against Stoke. He has continued his free-scoring ways this season, bagging 13 league goals to lie joint second in the overall chart behind Manchester United's Robin van Persie (16). Options up front for Chelsea have been limited following the exits of Didier Drogba and Salomon Kalou in the close season and the decision to allow Romelu Lukaku to join Premier League rivals West Bromwich Albion on loan. 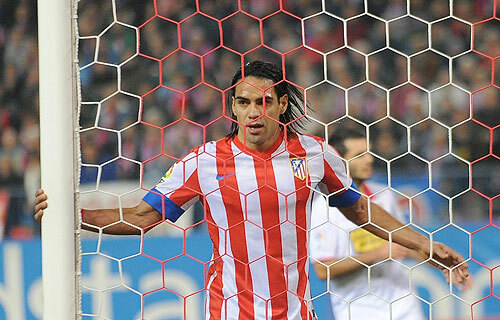 The move may also dampen speculation that Chelsea are trying to sign Atletico Madrid's Colombia striker Radamel Falcao, who has scored 17 goals so far in La Liga to take his side to second behind free-scoring Barcelona. Newcastle seem poised to use some of the Ba money to recruit Lille and France defender Mathieu Debuchy, who was spotted in the stands watching the side on Wednesday. England striker Daniel Sturridge described his new club as "humongous" after joining Liverpool from European champions Chelsea for an undisclosed fee on Wednesday. "I am humbled and happy to be here (at Anfield)," the 23-year-old told the club's website (www.liverpoolfc.com). "(Manager) Brendan Rodgers said he sees me here for a long time and I also see myself here for a long time. "It is a humongous club, for me one of the biggest in the world, and to have the fans and world-class players we have here is amazing." Liverpool did not disclose the length of Sturridge's deal but said he had signed a long-term contract. The player struggled to hold down a regular first-team place after joining Chelsea from Manchester City in 2009. Sturridge enjoyed his best spell with the London club under former manager Andre Villas-Boas at the start of last season but was sidelined again when the Portuguese was replaced by Roberto Di Matteo in March. He was an unused substitute in the penalty shootout win over Bayern Munich in the Champions League final in May and has had an injury-plagued campaign this season. 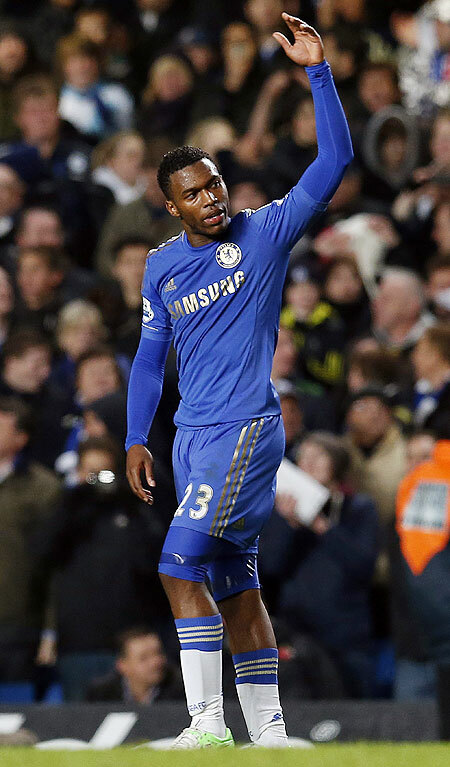 Sturridge started 49 games and made 47 substitute appearances in three and a half years at Stamford Bridge, scoring 24 goals. He has won four England caps and featured in the British team at the 2012 London Olympics after overcoming a bout of meningitis. Sturridge could make his debut for five-times European champions Liverpool at minor league Mansfield Town in the FA Cup third round on Sunday. 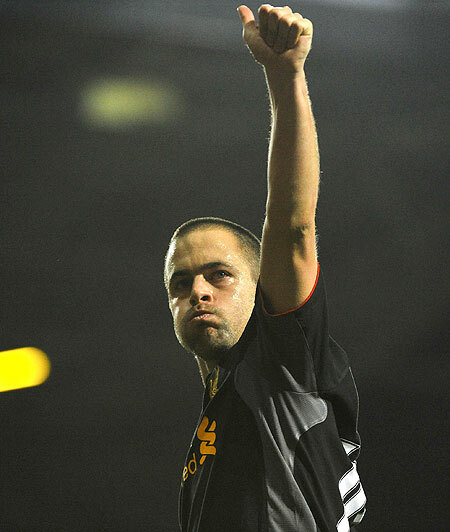 Former England midfielder Joe Cole is set to end his unhappy spell at Liverpool by returning to boyhood club West Ham United. "I'm not sure if a deal has been totally agreed. I know there have been talks," Liverpool boss Brendan Rodgers said after Wednesday's 3-0 Premier League win over Sunderland when Cole did not make the squad. Queens Park Rangers manager Harry Redknapp, who managed Cole at West Ham, said he had tried to sign the 31-year-old but that the player was heading for the Hammers. Cole left Chelsea after a successful seven-year spell in 2010 but failed to make an impact at Anfield and spent last season at France's Lille. The last of his 56 England caps was also in 2010. One of the most talked about English youngsters of his generation, Cole began his career at West Ham but angered fans of the east London club when moving across the capital to rivals Chelsea. In another interesting move, Wigan Athletic have signed Chile striker Angelo Henriquez, 18, on loan from Premier League rivals Manchester United for the rest of the season. "We are really excited about Angelo because he is a very young man with huge potential," manager Roberto Martinez told the club's website (www.wiganlatics.co.uk) on Wednesday. "He is a goal-scorer with clever movement inside the box. We hope to have a good partnership in terms of allowing Angelo to develop as a footballer and learn the demands of the English game." Henriquez, who scored on his international debut in a friendly against Serbia last month, joined United from Universidad de Chile in the close season. Wigan are third from bottom in the league after losing 4-0 at home to United on Tuesday.